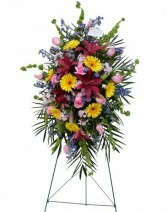 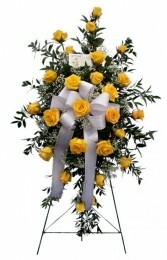 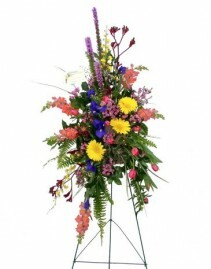 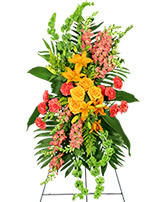 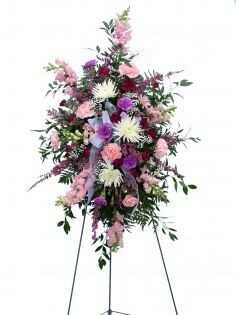 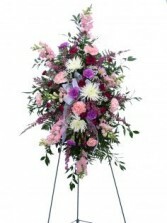 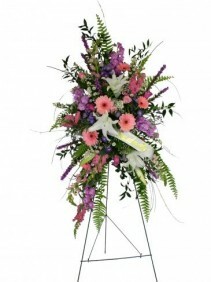 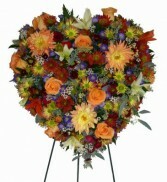 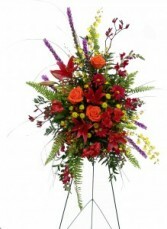 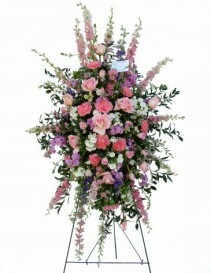 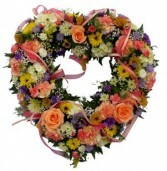 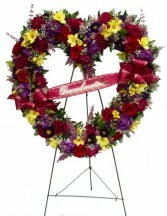 an Easel arrangement is an elegant symbol of remembrance. 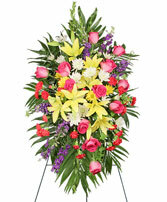 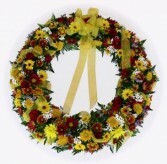 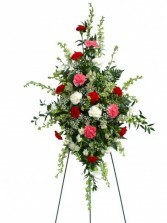 A beautiful red cross funeral arrangement displayed on an easel. 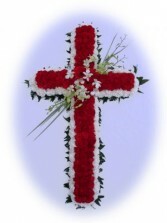 A symbol of Gods love. 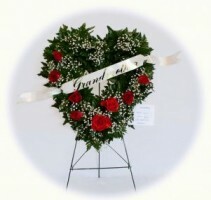 excellent tribute to a friend or loved one.